The professional winter storage facility for sailboats and cruisers can house over 50 boats. 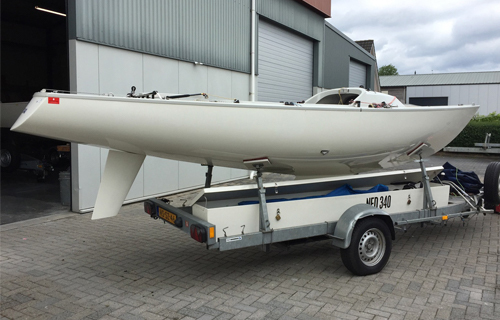 We offer the opportunity to get your boat out of the water in Langweer and to bring it to the storage. There are special racks for the mast and facilities to store your outboard motor. Before we store your boat, we spray the hull with a high pressure washer, so that your boat will get stored completely clean. In the outdoor storage, we cover the boat with a tarpaulin. The winter repository (total area 500 m2) and the outside storage (total area 500 m2) is secured. At neither locations overhaul work is done, to keep the area clean and to prevent the ships to get damaged or polluted. 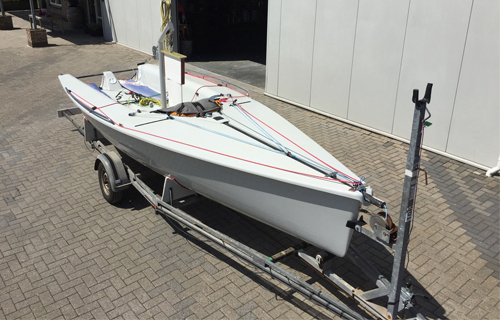 If desirable, we can perform an overhaul or reparation, like applying a new antifouling, cleaning and polishing of the hull, repairing the gel coat and painting your boat. If you are interested in our winter storage, contact us and inquire after the possibilities.